Fordingbridge is our latest branch to benefit from major improvements, both on the inside and out. The refurbishment comes as part of our ongoing investment to update our branch network across the South and follows on from Ringwood and Romsey’s transformations last year. 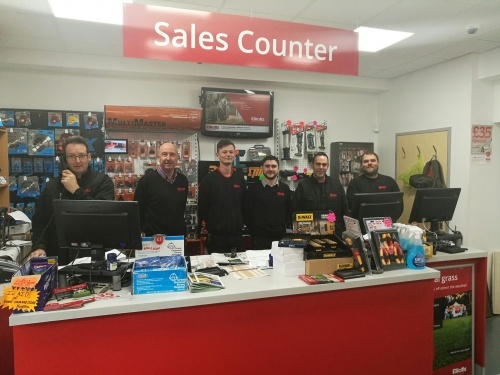 Our Fordingbridge branch has got more than just new signs in place; major building work has created a completely new branch layout with extra space. The branch now displays more stock than ever before which is instantly available to customers and a new open-plan sales area so our team of experts are always on hand to give trusted advice to help people build. Managing Director, Tom Elliott commented: “We’re thrilled with the refurbishment, as the space we had is now being used much better than before. “We are now able to display many more products on the shop floor, rather than being tucked away behind the counter or stored upstairs. This means customers have easier access to the quality building materials Elliotts has to offer. Click here to find out more about the Fordingbridge branch and meet the team.